Considered by many to be the ultimate destination for luxury condo living in Honolulu, the Hokua at 1288 Ala Moana offers many of the finest amenities that you would only find at a high-end vacation resort in Honolulu. This is unique in the fact that you can enjoy a luxury lifestyle while knowing that you are indeed not at a resort, but at home! Views of Diamond Head and the mighty Pacific ocean are right at your fingertips, and these views will be hard to match anywhere else. Each unit is built with quality and luxury in mind, and many of the units are as big or bigger than single-family homes. While there are plenty of big luxury units in Hawaii, the Hokua at 1288 Ala Moana is arguably the best, as they seem one step ahead of the rest. Luxury amenities abound in this building, as to be expected. Enjoy disappearing-edge heated pool overlooking the pacific ocean surrounded by whirlpool spas. You can also take advantage of a dog park and five enclosed cabanas for barbecue parties or gatherings that are all equipped with gas ranges. There is also a court for tennis and basketball and a playground for young children. Don’t forget the state of the art fitness room, business center and meeting rooms. 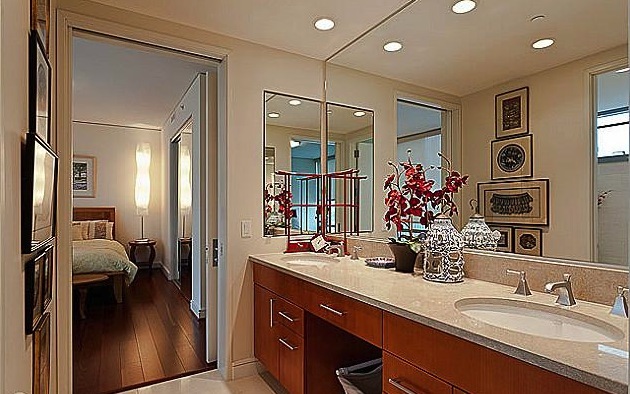 All of this at your fingertips in one of the most luxurious condo buildings in all of Hawaii. While this building is wildly popular and units go fast, there are some currently available. Highlighted is one below that we think you will enjoy. 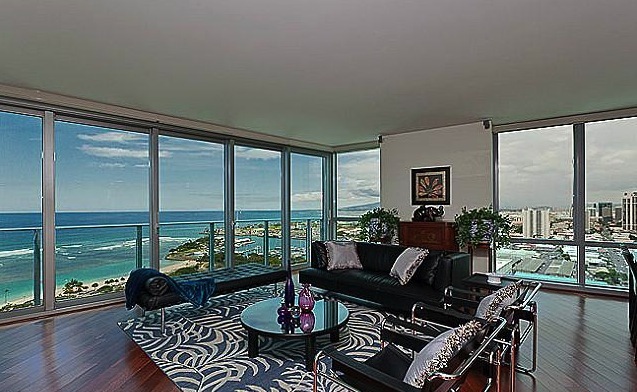 This high floor, corner unit in the Hokua at 1288 Ala Moana is definitely something to behold. Many condo units (even luxury units) come with only two parking stalls. This one comes with 3, which is huge in Hawaii. There is also a bog storage room and amazing ocean, mountain and sunset views from this unit. 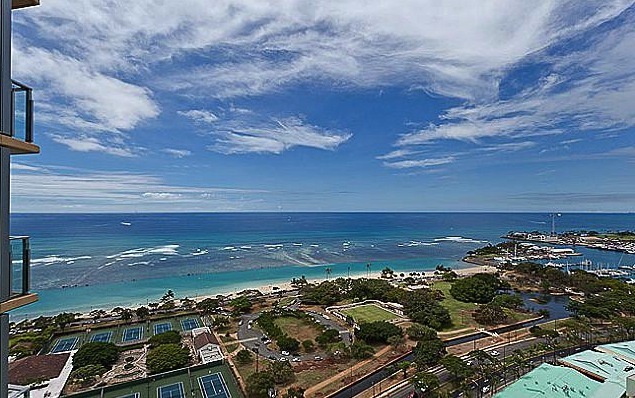 Don’t miss your chance to won what is considered to be Hawaii luxury condo living at its best. View this listing and other Honolulu properties now!